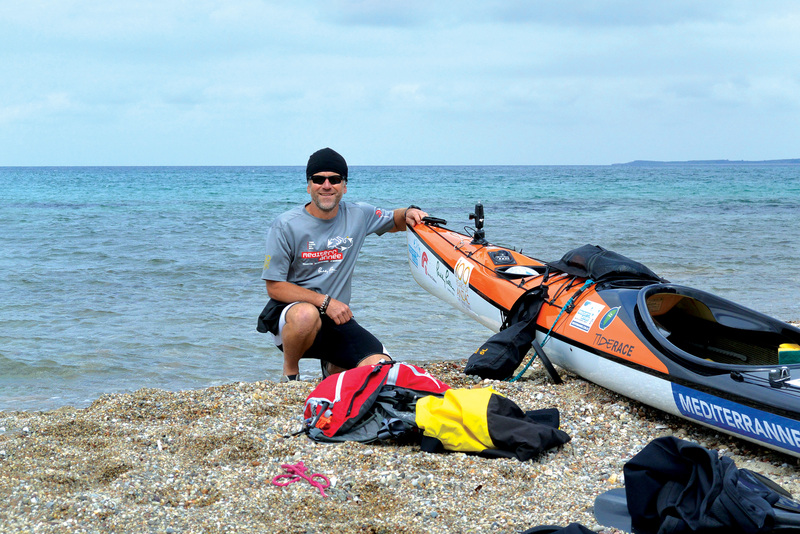 Huw Kingston muses on some of the things that go into organising an expedition, using his yearlong journey around the Mediterranean by kayak, foot, ocean rowboat and bike as an example. Expedition: a journey undertaken by a group of people with a particular purpose, especially that of exploration, research or war. Or, a short trip made for a particular purpose, for example ‘a shopping expedition’. On a more serious note, may I be so bold as to edit the dictionary, offering up the following definition of ‘expedition’ instead: a long or challenging journey of at least three to four weeks, undertaken by an individual or group with a particular purpose, generally using human power. Those globetrotting in auto-rickshaws or sailing across oceans may not concur. The nature of such journeys has very much changed in recent decades. Marco Polo, Burton, Livingstone and the like would kiss the wife, hug the dogs and bravely head off for a time period unknown. When or if they returned they’d be patted on the back, present to the Royal Geographical Society or similar, grab a knighthood and either head off again, sit in parliament or die of a tropical disease acquired on their travels. Nowadays, expeditions are generally shorter and more contained, more self-sufficient – made so by the ease of worldwide travel and development of lightweight equipment. Even then, planning and preparation remain a key aspect. On a windy day I surfed Miss Grape, my sea kayak, onto a beach in Greece. An old man and I whiled away an hour chatting. “The beginning is half of any action,” the man told me, quoting a Greek proverb. When I was 15, I fractured my back by falling 10 metres from a roadway to a pedestrian subway below. I recovered well enough as a pliable teenager but by my mid-twenties I was having all sorts of problems. Various specialists advised me to give up what I loved doing, because it was putting me at risk of further spinal damage. I got a bit depressed and made one of the best decisions of my life. I decided that, whatever the ramifications, I’d ignore all such advice and deal with the consequences. One of the consequences has been that, thanks to a pesky psychological trick, my back ‘goes’ a month or less before departing on any long journey, leaving me incapacitated. It started with a planned 600km ski traverse in the Indian Himalaya in 1991. Weeks before, my back collapsed, but I travelled from Sydney to India regardless and, once there, lay horizontal on a houseboat for two weeks before deciding to hobble my way to the start line. We soon ended up in a dangerous avalanching valley that concentrated my mind on other things. I kept moving for 35 days and had no further trouble – until three days after arriving home in Sydney I was flat on my back for another fortnight. It appears I have borne out the old man’s quote. If you’re planning your first expedition and don’t read any further, just remember this one thing. Expeditions can be over-thought, over-planned and over-worried about. Get to the start line and begin. The fear of failure on a journey disappears to a very large extent once you start. Have the belief in yourself, have the belief in the wonderful things that will happen to you en route. My wife knows to be wary whenever I grab a new manila folder, write a cryptic name on the cover and start slipping notes into it. The one titled ‘Mediterranean’ was first opened eight years before I set off. Thanks to the internet there are endless resources easily available to anyone planning an expedition, such as expedition summary sites, individual expedition sites and blogs, digital mapping resources, and social media. There’s the printed word too – expedition books and back issues of magazines. There can be a temptation to take control of every little detail, but the longer the planned journey, the less important and practical it is to do so. Things will change and circumstances may send you down another pathway – one that might be better than you’d ever imagined. For example, right up to my paddling away from Gallipoli I had no idea how I would deal with getting into and across Libya and Syria. The Arab Spring had turned into the Arab Nightmare; the Libyan situation was off the rails and the Syrian tragedy was unfolding to become far bigger than the world foresaw. Five months into my journey, standing on top of Mont Blanc at nearly 5000 metres and overlooking the landscape, I read an email from the bloke with a predilection for frilly pillows. Slovenian Atlantic Ocean rower, Marin Medak, who I had met briefly some months before, was offering to organise a row across the Mediterranean. I had never rowed before but this was a solution to a major problem. 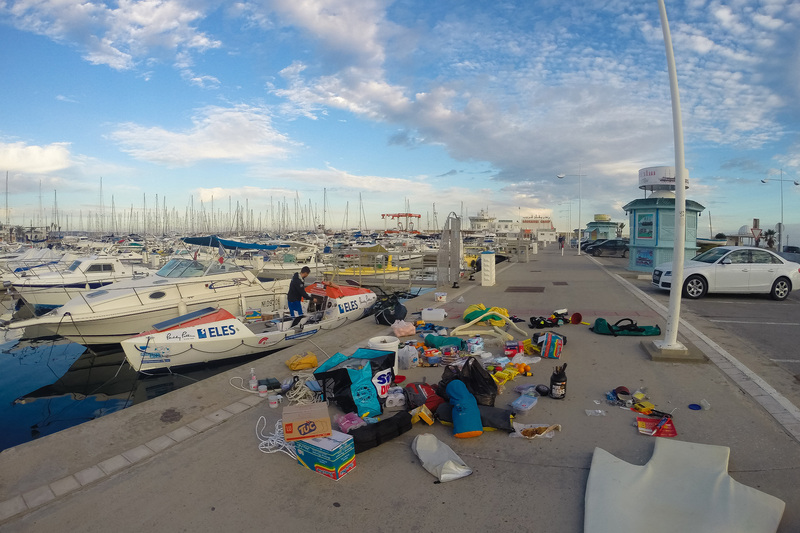 By late January, I had arrived in Tunisia by bike from Algeria, Marin had arrived on the ferry from Italy, and Mr Hops (our ocean rowboat) had arrived in a container. Just beware, research will likely disappoint you if you want to be the first at something, unless perhaps you’re kayaking backwards across Bass Strait. Our drive for originality is in fact making our ideas crazier; some decades ago, whilst working as the marketing honcho for an Australian chain of outdoor stores, I received a proposal from a guy who planned to ski naked from Kiandra to Kosciuszko. One of the most common questions asked of those who love long journeys is: how can you afford to go away for so long? There are various threads to the answer. Firstly I have to remind people that staying at home is actually very costly in itself – fuel for the car, food for the body, rent payments and household bills. Secondly, I have to point out that the people asking me are driving much flasher cars than my eight year old ute and taking off on short but expensive luxury holidays. It’s about conserving and directing the money coming your way. The bottom line is that if you are driven to achieve your expedition, you will move heaven and earth, emptying a few piggy banks in the process. But so as not to appear trite, there are obviously fixed and expensive commitments that many people have – jobs, children, mortgages and the like. Luckily for me, I have my own business which helps as there is some income coming in when I’m away. There are a limited number of grants available for expeditions. In Australia these include those offered by the Australian Geographic Society (who supported my Mediterranean journey) and The North Face Adventure Grant. Competition is of course fierce. Sponsorship is another avenue that may help fund your expedition. Securing sponsorship is hard, securing cash sponsorship is even harder. Marketing departments from the largest corporates to the smallest outdoor equipment firm are deluged with proposals. Be prepared for a lot of work and a lot of rejection. Do you really want or need it? With sponsorship comes commitment and pressure. Can you deliver value? Can you tap out a story or video on a smartphone from your tent in a storm when you’d rather be sleeping after a 10 hour day in the kayak? Getting the media to cover your story positively is a whole lot harder if you don’t know the media landscape and don’t have a knowledgeable PR guru working for you. That can account for the mass coverage of someone who has walked from Canberra to Kosciuszko, while no one seems interested in your walk from Kolkata to Kashmir. You could of course be the writer of your own destiny. Esteemed publications such as this are always on the lookout for great stories. But publishing is a hard game and the returns for writers are probably half what they were 10 years ago. And remember, a book about the walk from Canberra written by a great writer will be far better than a book about the walk from Kolkata written by a mediocre one. The other side of planning is gear – choose wisely. 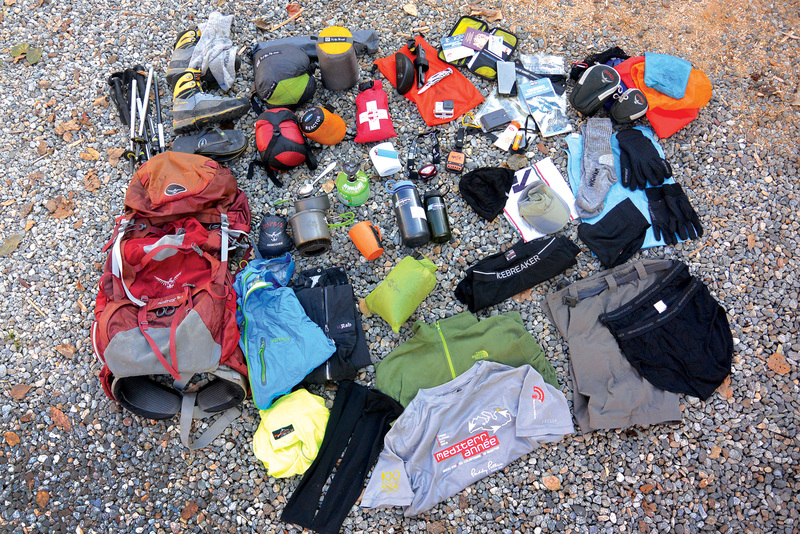 If you are fortunate enough to have some sponsored gear, try to test it out before you set off and don’t be afraid to decline it if you’re not happy with it. Ten years ago, we took stoves provided by a sponsor on a Himalayan ski touring expedition. We nearly asphyxiated several times and went thirsty on a few occasions, almost abandoning our journey because of them. Sometimes it’s better to take trusted favourites with you. My plastic mug, given to me second hand 40 years ago, is the first thing I always pack. Expeditions offer opportunities to raise funds for very worthwhile causes. My Mediterranean journey had a strong link to the desperate tragedy of Gallipoli and the Great War. It also took place during the increasing terror of the Syrian conflict. I decided to raise funds for children, the most innocent victims of war and conflict. I partnered with Save the Children to do so and in the end raised some $100,000. The fundraising was a real motivator for me but definitely adds substantial challenges and workload to an expedition. After nearly 11 months and 12,000 km of human powered travel around the Mediterranean, I found myself washed up on the Greek Peloponnese in the rowboat with Marin. 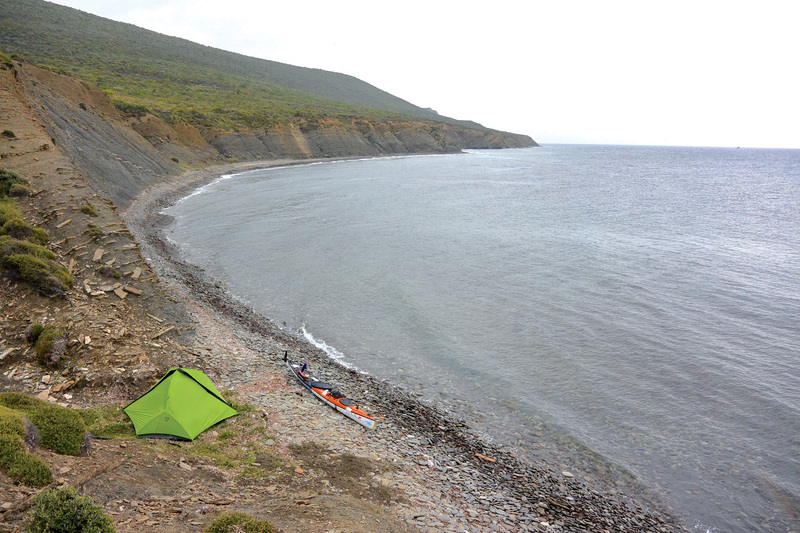 We stayed there for two weeks in storms not at all conducive to rowing across the Aegean Sea to Turkey where I still had 1,000 km of sea kayaking to reach Gallipoli by Anzac Day. I was running out of time and made the most difficult decision of my year: to take non-human power across the Aegean. I didn’t feel good about it, at all. On my second morning back in the sea kayak in Turkey, I battled into sea and wind for a time before turning around and surfing back to the beach. An email arrived while I sat waiting for conditions to ease, forwarded to me by Save the Children Australia. The email was from my primary school teacher, Mary, who I had not seen or heard from for 45 years; attached was an image of me at school in Wales, aged seven. Mary said she had been following my journey and was upset when she saw my post about abandoning my human powered rule. To make me feel better she was sending a cheque for $12,000 to Save the Children. I shed a few tears and was soon back in Miss Grape powering with vigour through the waves. On a similar note, it’s worthwhile questioning what new equipment and associated packaging you really need, because although your journey itself may be human powered, getting to the starting line and back home again with all your gear can have an impact. I must admit, sometimes you end up using resources beyond your control; for example, as I began to cycle across Algeria, Africa’s largest country, two uninvited police cars took up position with their lights flashing, one behind me, one in front, providing me ‘security’. That was my life, presidential style for the next two weeks and 1,500km. I’ve left this until last as I always leave it until last. In fact, many of you will be far better at training than I. In my defence, I do keep reasonably fit throughout the year and many of my journeys are long enough for me to get fit along the way. 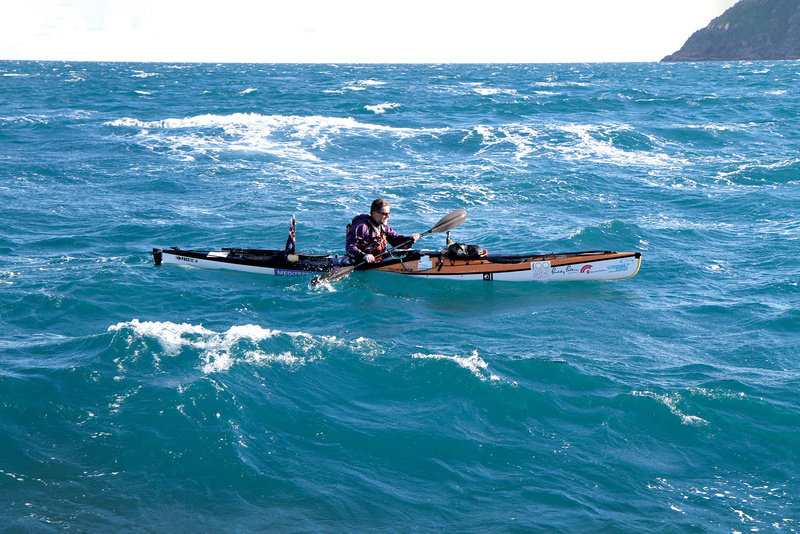 When I kayaked away from Gallipoli, I’d been in the sea kayak only once in the previous six months. Then, after three months sitting in the kayak, my legs were hardly in good shape to begin three months trekking across the European Alps, but I built my strength on the go. And what of skill? You don’t have to be an expert for an expedition. I certainly class myself as a very average performer in the outdoor activities I enjoy. Of course, if you plan to kayak a fast flowing river in Kyrgyzstan or around Tasmania you’d want to know what you’re doing. But there is a certain strength in innocence mixed with persistence. Expedition accounts are littered with the successes of such people (yes, yes, I know. There are those of the failures too...). Whether we achieve our goals or not, all expeditions take us to incredible places, both in terms of landscapes and within ourselves. Brilliant people pop up in the most unlikely of places and enrich our lives. You’ll never regret the journeys you attempt, though you may regret the ones you didn’t.